Our annual campaign for Smiles for Life is currently underway. Now through the end of June we are whitening smiles while helping the local foster kids. Arizona foster will benefit locally from the money we raise this year. Half of our proceeds will be distributed locally and the other half will support the national and international endeavors of Smiles for Life. 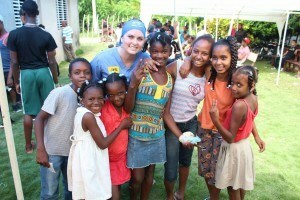 This year they will be sponsoring humanitarian missions in the Dominican Republic and Haiti. 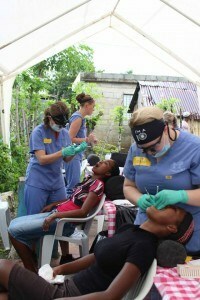 Through these missions people who would have no access to dental treatment will be able to receive dental care. 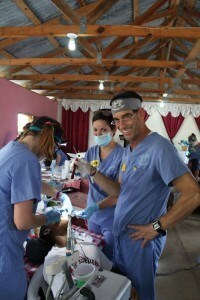 Last months mission went into the remote areas of Santo Domingo. You can help these and others who are in need by supporting the campaign. 100% of the proceeds we raise whitening teeth will go directly to helping those in need. Call the office to schedule whitening and get a whiter smile while you are helping both locally and internationally. This year we also are offering two smile makeovers in our Smile Auction. Clear Correct invisible braces has generously given us a complete orthodontic case to offer for bid and bidding is open. If you are interested in invisible braces call our office or bid on our facebook page. Opening bid is $1000 for this $5600 prize. We also have a 6 veneer smile makeover available that is currently at $3500. The value of the prize is $7800. Call and bid on these spectacular items. A special thanks goes out to Clear Correct and Cruz Dental Studios for donating these items. Please help us reach our goal this year of $15,000. Spread the word to friends and co workers about the whitening campaign. In office whitening is $149 and custom take home whitening is only $99. Call today to schedule or bid 480-507-1807.